Charlie Gillett recently pointed out how difficult it would have been back in the seventies to get your hands on this music or even hear it. So hats off to musical archaeologist Miles Cleret for his ongoing excavation of Nigerian popular music. In this episode we get an album dedicated to Sir Victor Uwaifo and some very chilled guitar-based hybrid highlife grooves. Uchenna from combandrazor takes up the story: In addition to being one of the flashiest and hardest working Nigerian musicians of the highlife era, Sir Victor Uwaifo was almost certainly the most ingenious. Never content to follow the boilerplate of the highlife mainstream or to slavishly ape imported trends, Uwaifo built his reputation on ostentatious showmanship and the judicious mining of the legends and songs of his native Edo culture, which he repackaged as newfangled pop: modern music of African folklore. You can read more about SIr Victor by following this link. Now just for a moment compare the graphic styles of an original Nigerian release (at top) with that of the new Soundway release (below). Like the design studio Intro's re-contextualisation of roots reggae label Blood and Fire (sample above) here we have Tim from nth creative running his spell over the packaging. The omnipresent danger here is of approximating an imagined authenticity that can suggest an assumed naivete. Such graphic styles (e.g. Ben Bailey on the latest Pressure Sounds release) can be condescending. But hey Sir Victor was repacking himself and presenting an assumed modernity in the midst of the surge of the new found wealth running through Nigeria at the time. 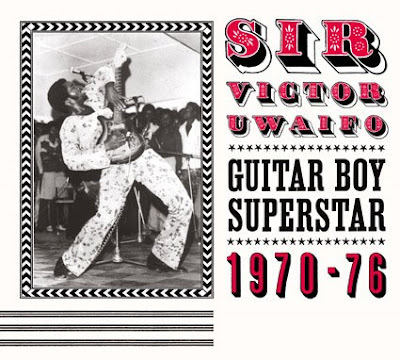 And here's the spin: "Soundway Records presents ‘Victor Uwaifo: Guitar-Boy Superstar 1970-76’, an in-depth look at the music of a Nigerian legend. 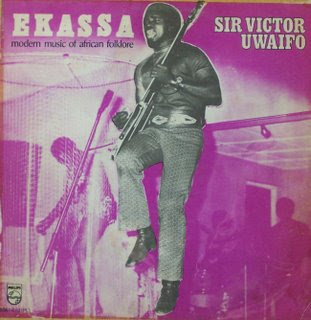 Victor Uwaifo combined the rhythms and traditions of the historic culture of the Empire of Benin with the sounds of Highlife, Soul and Reggae to produce his own unique and culturally vital musical hybrid. Packed with rare tracks, vintage cover art and informative interviews and commentary, this CD restores him to his rightful place alongside the other giants of African music." Looks like another killer from Soundway, although I wish Miles hadn't overlapped tracks already included on the Nigeria Special discs. Small complaint though as I very much look forward to purchasing this. Part two of the Sterns Rail Band series has also just been released. Yeah! I prefer when labels use the original cover -- but perhaps the results would seem sufficiently ramshackle to arouse suspicions on the part of too many potential consumers (that is it wouldn't have the "curated by folks much like you" stamp). 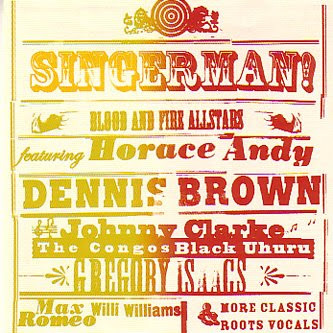 More typically, as with this Soundway release, the label will approximate or appropriate elements of the period style while reigning it into the confines of acceptable design practice. The early B&F albums work wonders with this approach, which I think was devised partly because the several-times-around-the-block quality of the LP covers, photos, etc. they were working from (since they didn't have access to original proofs) demanded a house style that acknowledged and incorporated these imperfections. A mixed blessing, as you suggest. Interesting that when they switched design teams, B&F went for a sleeker look that didn't fetishize the "earthiness" of the original material (e.g. the "Fisherman Style" release), while so many other labels went on producing subpar versions of the B&F aesthetic. I actually think many of the releases in Trojan's reenergized reissue program strike a good balance, having a vintage quality that doesn't feel condescending. Not enough is said or written about the aesthetics of reissues! Lots of different stances and responses toward the material are implied by packaging, albeit sometimes in subtle ways. When I saw this post today, I rushed to my local record shop after work to see, on the off chance, if they had the CD. Damn if they didn't! Being a big Uwaifo fan, I have had a number of old records. It is so GREAT to hear these tracks cleaned up. Mine sound like they were owned by a teenager with a crummy compact stereo-record changer. Umm...wonder why? I love the look of all the Pressure Sounds cds as well. They do a beautiful job which i much prefer to the sort of faux modern look of the sadly kaput Blood and Fire label. I really love all the original materials included in the Soundway releases, kind of similar to the approach favored by the Numero Group. Anyway, it's a great time for reissues and we're lucky to hear all these gems and seem them so beautifully presented. As I think Matt said before, you feel kind of jipped buying downloads as there is no object. As long as labels produce discs with such obvious love and respect for the artists & music i'll keep buying cds. The major labels don't get it but smaller labels do. The Sterns reissues also succeed beautifully on both levels. I think the Keletigui Syliphone comp is also due out soon.